Samsara is a Tibetan word that means ”The ever turning wheel of life”, a concept both intimate and vast, obvious and oblique, the perfect subject for filmmakers Mark Magidson and Ron Fricke who have awed us with exquisite images of the mundane; the filmmakers with an uncanny ability to reveal the elusive current of interconnection that runs through the universe and our lives. Both philosophically and technically, “Samsara” will build on the team’s earlier work. Expanding on the themes of interconnection and transcendence which they developed in “Baraka” (1992), “Samsara” will focus on the cycle of Birth, Death and Rebirth, from the perspectives of many cultures. Neither a traditional documentary, nor a travelogue, “Samsara” will take the form of a nonverbal, guided meditation that will transform viewers in countries around the world, as they are swept along a journey of the soul. Through powerful images, the film will illuminate the links between humanity and the rest of the nature, showing how our life cycle mirrors the rhythm of the planet. “Samsara” will be part of a 21st Century mythology, revealing parts of our imperilled planet never before photographed. It will combine original and indigenous music with dance as well as other contemporary art forms. With a team that has collaborated for over 20 years, “Samsara” will be filmed in 20 to 25 countries. Director/Cinematographer Ron Fricke will photograph in 70mm using both standard frame rates and a motion control time-lapse camera designed specifically for this project. 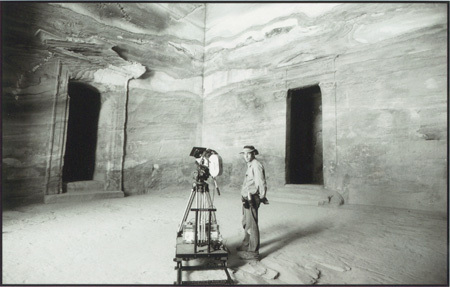 The camera system will allow him to shift perspectives to reveal extraordinary views of ordinary scenes. 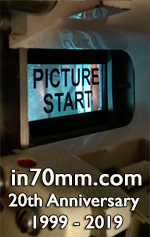 The film elements will then be scanned to a digital intermediate format. Effects produced in this manner will be stunning without appearing artificial. “Samsara” will be the ultimate showpiece for both the HD format and high-resolution digital projection, as well as standard film projection. After the fantastic and time proven response to “Baraka” (Variety declared it a “Masterpiece” and the Hollywood Reporter a “riveting” experience), Magidson and Fricke are confident that world audiences are ready for films with a life-affirming message. They aim to take the universally understood, nonverbal genre to new heights; a global vision for a global audience. CANNES -- Nearly 15 years after "Baraka" gained critical acclaim and estimable returns in homevid, a sequel is in motion. 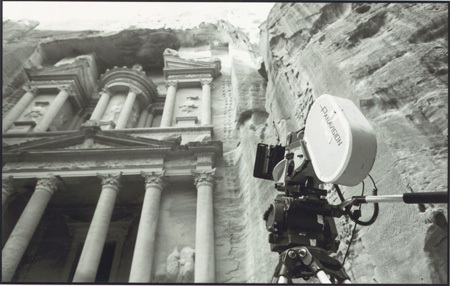 "Samsara," directed and shot by Ron Fricke, has begun lensing and will span 12 to 14 months and more than 20 countries. "One of the challenges of this is to try to get stunning and unfamiliar imagery," producer Mark Magidson said. "We also need to have a lot of density of imagery to build the sequences for a film that relies on non-verbal storytelling and can sustain interest for the length of a feature." 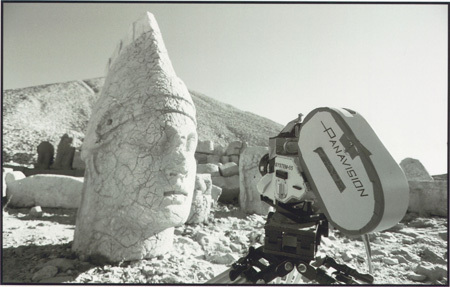 With elements of travelogue, New Age trip and anthropological exploration, "Baraka" and its followup belong to a subgenre of non-verbal pics that includes such titles as "Koyaanisqatsi" and "Winged Migration." "Samsara" is a Sanskrit word for "cyclic existence" and the filmmakers call the film a "guided meditation" through "birth, death and rebirth" in several cultures. In 1993, Samuel Goldwyn's release notched a $1.3 million domestic cume. Tech aspects and music play a key role in non-verbal films, and Lisa Gerrard of Dead Can Dance and "Gladiator" fame will be involved in the "Samsara" score. Improvements in home- theater systems over the years have helped keep homevid demand strong, and "Baraka" has shipped more than half a million DVDs to date. An upgraded edition, in both regular and high-definition, is on the way from MPI Home Video by year's end. Budget for the sequel is likely to exceed the original's $3 million, with world distribution rights expected to remain up for grabs until shooting wraps. Producer Mark Magidson and film director Ron Fricke reunite to shoot another 65mm project titled SAMSARA, a continuation of their previous film BARAKA. This project will go around the world covering over 24 countries and 5 continents. Produced by Magidson Films, SAMSARA is due for theatrical release in 2009.